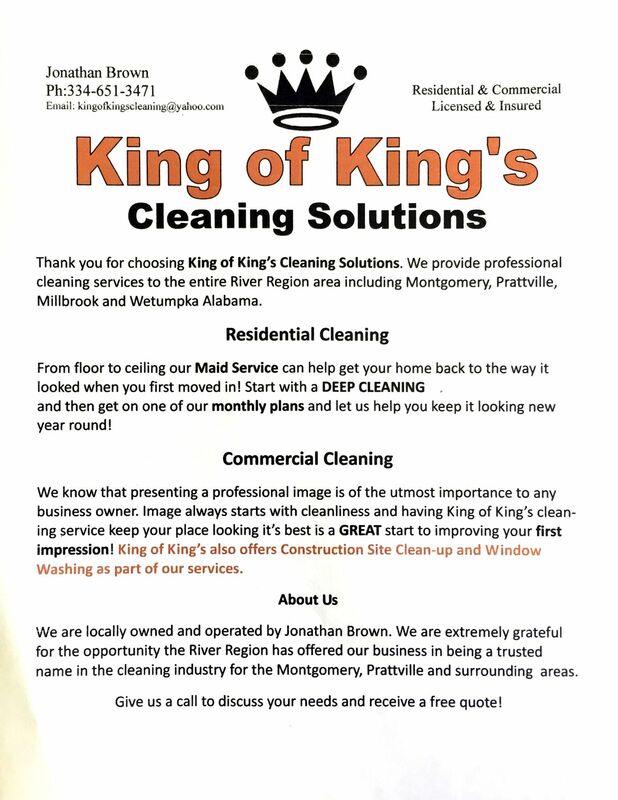 King of King’s Cleaning Solutions provides Montgomery and Pike Road, AL with commercial cleaning, janitorial services, and business cleaning. We know that presenting a professional image is the of the utmost imprtance to any business owner. Image starts with cleanliness. 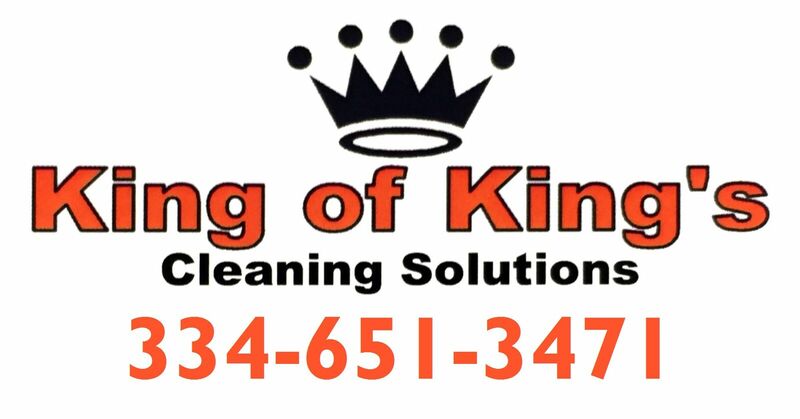 King of King’s cleaning service keeps your place in ship-shape and is a GREAT start to improving your customers’ first impressions of your business. Our consultation process involves a thorough inspection of your business property and a detailed discussion to access your needs and expectations, whether one-time cleaning or regularly scheduled cleanings are needed. 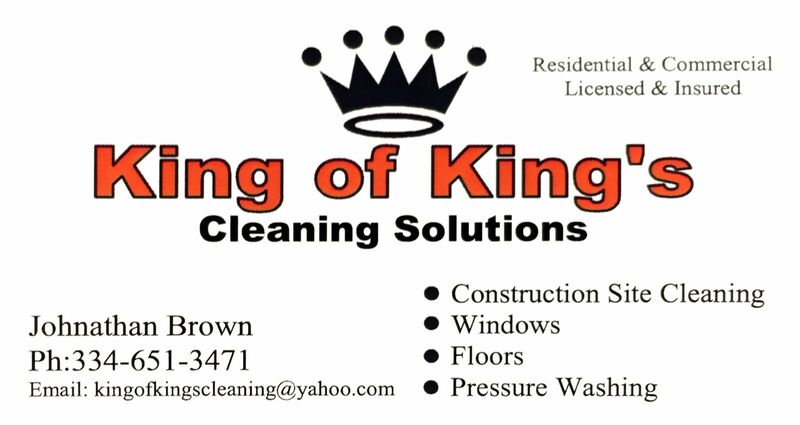 Give us a call to get a FREE business cleaning proposal for your Montgomery, AL business.